Transform your business with our ERP Software Solutions. We have a dedicated team working on ERP Software Solutions. We aim to provide an integrated and continuously updated view of core business processes using common databases maintained by a database management system. Decision making lies at the core of any business organization with the right decision to be made at the right time. 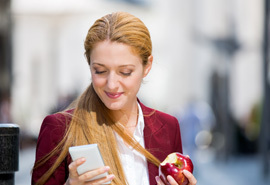 This helps businesses reap many benefits. We help clients integrate their core business activities through ERP solutions to reap the benefits of effective decision making. We will help you integrate all facets of an operation — including planning, development, sales and marketing in a one database, application and user interface, making everything simpler for you. ERP is an acronym for Enterprise Resource Planning, but even its full name doesn't shed much light on what ERP is or what it does. It offers synchronized reporting and automation. Instead of forcing employees to maintain separate databases and spreadsheets that have to be manually merged to generate reports, some ERP solutions allow staff to pull reports from one system. 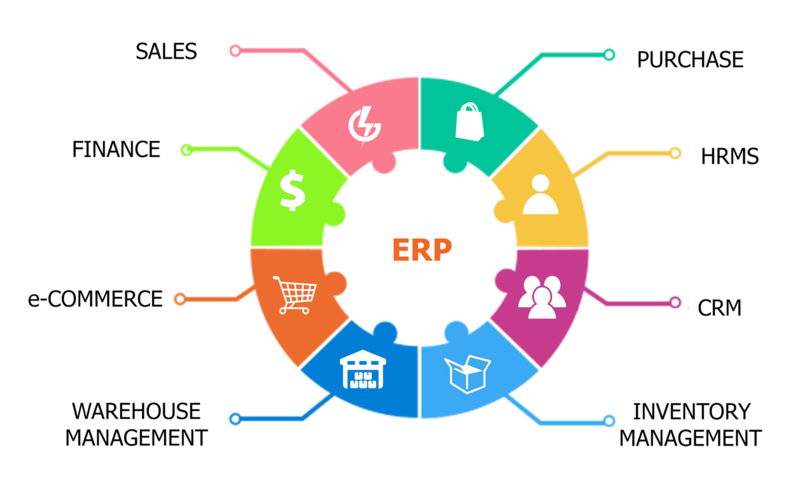 ERP has expanded to encompass business intelligence (BI) while also handling "front-office" functions such as sales force automation (SFA), marketing automation and e-commerce. By integrating diverse business processes and elements, ERP helps improve communication between all aspects of the business. With ERP, managers can make analytical decisions by considering various interconnected dashboards. 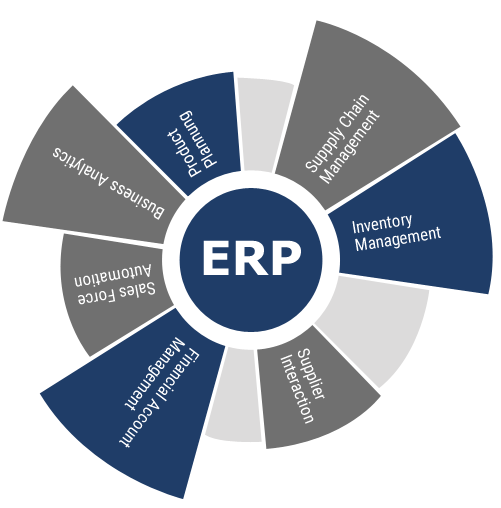 ERP systems automate manual business tasks and processes to create a streamlined, cost-efficient organization that promotes productivity. With the integration of otherwise disparate systems and processes, ERP systems improve communication between all aspects of a business from customer service, to accounting, to human resources. ERP software solutions present a way for business managers to use interconnected dashboards to quickly analyze, report, and improve business performance across the entire organization.